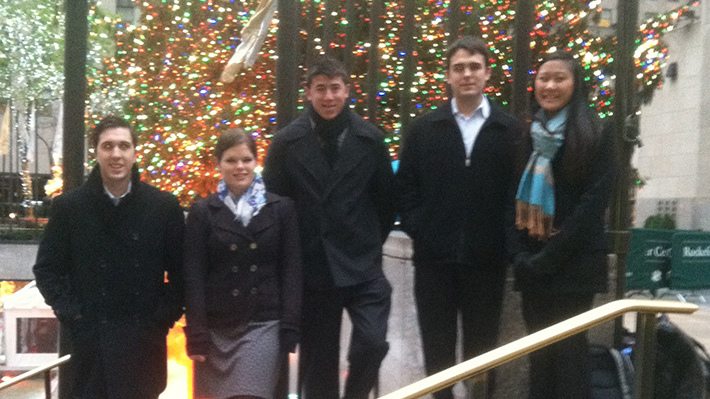 Five students traveled to New York City to participate in Deloitte’s Tax Case Competition. The team met with their client to finalize pressing tax issues and present their potential solutions to the issues presented. The LeBow team included Gloria Liu, Joseph Hutchinson, Brooke Schneck, Jonathan Abramson and Gregory Menio. Undergraduate Business Analytics students participated in a seven-hour marathon using data and technical expertise to develop solutions for a business challenge. Deloitte Consulting sponsored its third annual case competition which invited students from LeBow College of Business, College of Engineering and the College of Computing and Informatics to work together.